Are you having a hard time converting blog readers into sales? Are you looking for ways to increase sales with each one of your blog posts? In this post, I will show you 9 proven ways to do boost sales and keep your readers engaged. Write about topics that concern your target market. In a Hubspot article written by Neil Patel, blog posts need to address you reader’s problems. Talking to your readers through face-to-face talks, online surveys or emails. Using online tools such as Google Keyword planner to find out the topics they’re looking for. Researching your competitor’s topics or keywords they usually use. Again, online tools like BuzzSumo can help speed it up. Your competitors are probably using the same tools and methods. Your target customers probably have a good idea about your services. Pull in the really valuable clients. This seems counter-intuitive, they already know how you do it but they still hire you? why? Because they don’t have the time and they’re willing to pay someone like you to do it. This is the reason why consultants are successful. They regularly give free and sound advice. But people still need to hire them for their expertise. This kind of blog includes the how-to, cheat sheet, and checklist. The how-to blog post is the easiest to create and shows your readers exactly how you perform a certain task. Take your users behind the scenes and show them how you solve a problem that they are having. In your blog, provide a detailed how-to instruction for your readers with images and videos. A cheat sheet is a reference or guide that’s useful for remembering stuff. They are fun to read since they are usually presented as an infographic. Create and design a cheat sheet that solves a problem that your audience is having. They will reference the cheat sheet each time they encounter the problem and always think of you. This will help keep your company on top of their mind. As the name implies, it’s a tool to list down all the tasks needed for a certain project. While it’s okay to include a few links to your products and services, it’s even better to highlight older “How To” blog posts that you may have. Checklists are a great way to resurface some of your older content while still being useful to your readers. This is an old trick that we usually see in TV commercials. For example, a detergent brand is telling consumers that it’s cheaper or smells better than the competition. You can also apply this technique, comparing your products against your competitors. In your blog post, write about situations where your product is as good as or even better than its rivals. Getting a brand advocate to guest post on your blog is a credibility booster. You’re sending out the message that believers in your product are willing to stake their reputation for it. If your brand has such advocates, reach out to them. You could probably propose some sort of collaboration together. Aside from writing a blog, your advocates can promote your brand through other means. They could mention your brand in social media circles; provide a written or video testimonial. Just keep in mind to pay or reward your brand advocate for his guest blog. You could either pay them or give some sort of freebies for their efforts. The Content Marketing Institute acknowledged that 2 out of 3 marketing firms used case studies to promote their products and services. 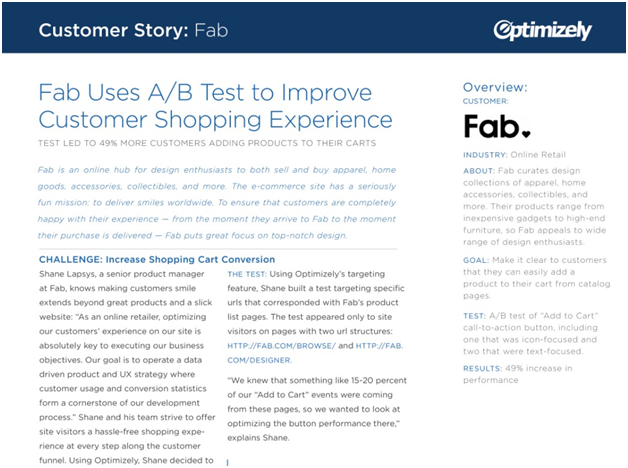 A case study does not attract as much attention as the how-to blog, but it’s a more effective tool for conversion. You don’t just tell them how good or effective your product or service is. You show them the benefit of your product or service using real examples. Here’s a case study example. You can shock your readers by telling them that certain practices they use no longer work. In the digital marketing industry, this happens all the time. One prime example is the change in Facebook’s newsfeed algorithm. The social media giant now gives priority to those recommended by friends rather than those from commercial entities. Brand managers were naturally worried that the new algorithm would severely limit their organic reach. But suppose you have a solution to their current dilemma? For example, engagement baiting in FB posts no longer works. (“Like this for Yes, Angry for No”) You can use your blog to illustrate its futility. Of course, in the middle of your presentation, you just happen to mention a better alternative. Once your readers are convinced that your product or service is the solution, sales conversion will spike up. Add quotes from experts and use it on your blog to increase your sales conversion. Well, if you quote an expert and tell him about it. Chances are he will share your blog with his followers. “Why would he do that?” you asked. By quoting an expert, you help build his credibility which is why he is more than willing to spread your article. By exposing the blog to a wider and preferably receptive audience, your product can attract the attention of prospective buyers. But you have to be certain that the expert and his advice are connected with what you’re selling. If not, you’re probably wasting your effort. Also, make sure that the expert’s answers will focus on why your target market needs your product. In medical jargon, this is called reverse psychology. While this strategy usually works for kids, Business Insider found out that adults can also fall for it as well. A few years ago, a number of celebrities appeared on the Oakwood school fundraiser drive. Instead of saying the usual plea for help, they started saying, “don’t give.” Although that was their initial statement, they later said the reasons why you should. The trick is telling them not buy your product while presenting arguments that they have to. You also need to tell it in a way that won’t make your product or service look inferior. There you have it. 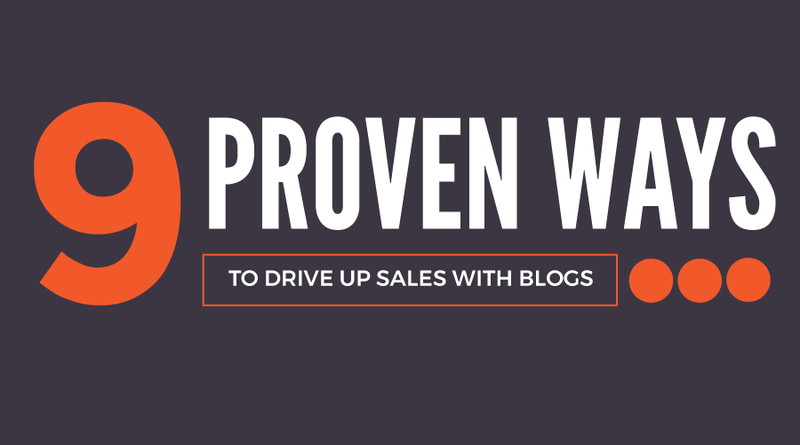 These are the top proven ways you can use blogs to increase your sales conversion. If you have other ideas on how to increase sales conversion through blogs, just leave a comment.